Today, we’re going to the city of Fukuoka. Let me tell you everything I know about it! 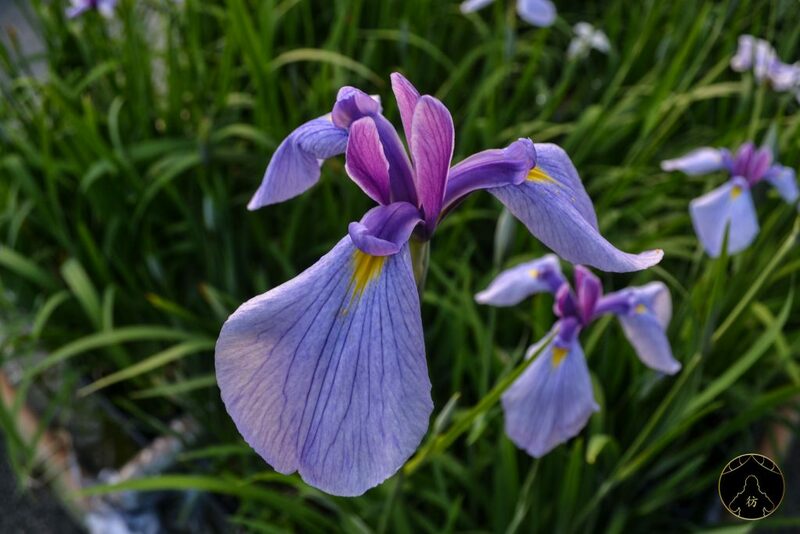 It is located north of Kyushu Island, which is one of my favorite islands in Japan. It is the largest city in Kyushu and thanks to its international airport, it is one of the main gateways of the island. 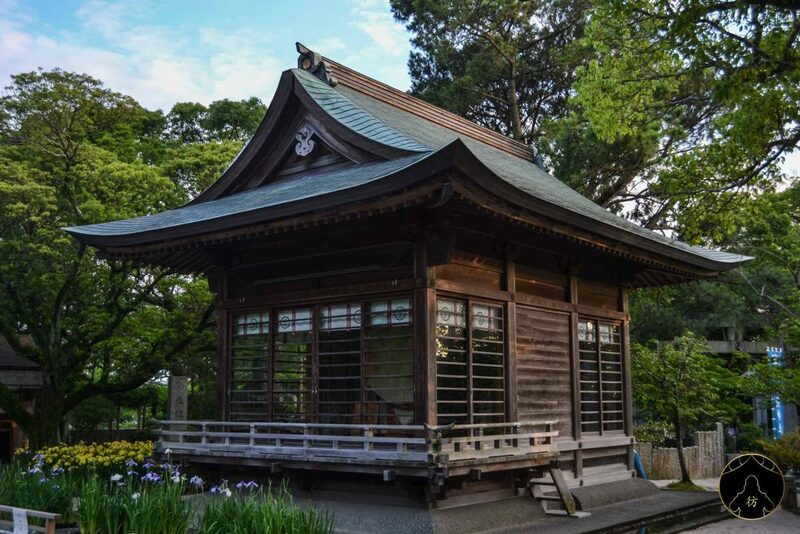 Fukuoka has a rich history and a unique culture. Did you know that the Mongols tried to invade Japan through a bay in Fukuoka in the 13th century? Against all odds, they failed twice because of typhoons. A coincidence, you say? That’s not what the Japanese really think. They even named the second storm that stopped the Mongolis kamikaze, literally the “divine wind”. If you look at the country’s map, you can see that Fukuoka has a strategic position. 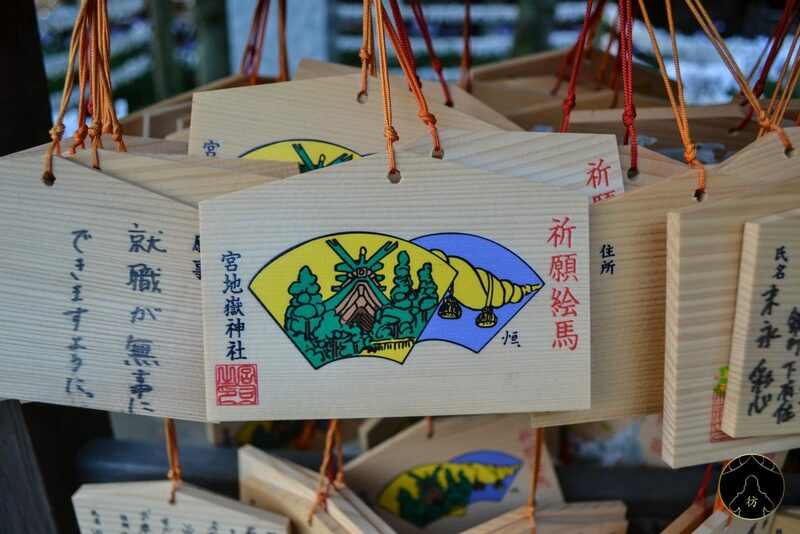 Lying midway between China and Korea, Fukuoka’s geographical location played an important role in the local culture. The people of Fukuoka are very open and really friendly by the way. Rumor has it that the girls of Fukuoka are the most beautiful of all Japanese girls. I’ll let you be the judge of that! But I digress! 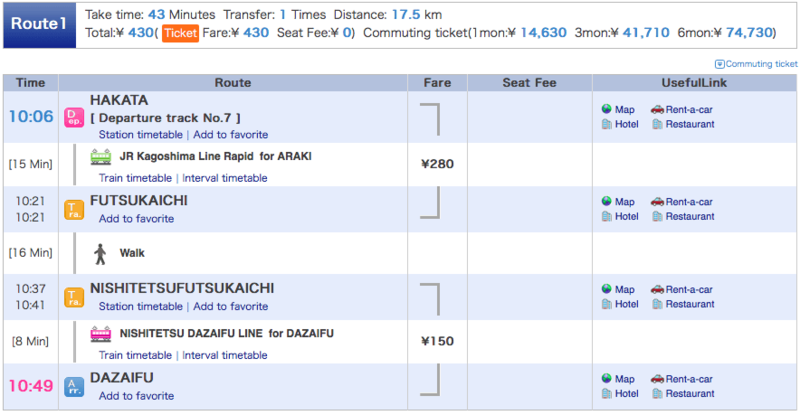 So here’s how you can travel to Fukuoka and some accommodation options to help you plan your trip. 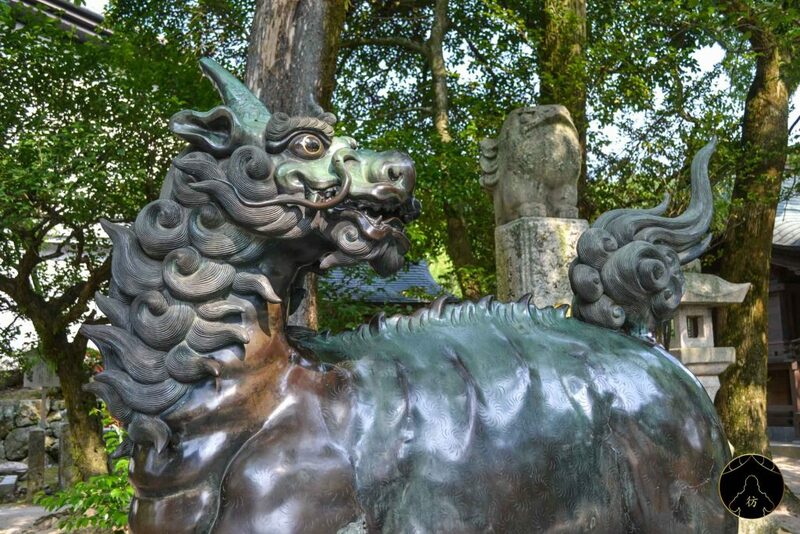 Next, we’ll look at my 9 favorite attractions in Fukuoka. 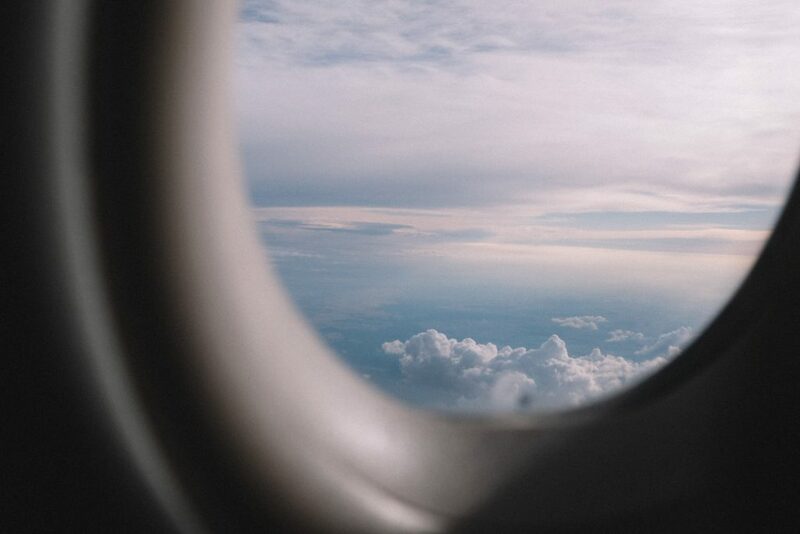 This will of course depend on where you’re traveling from but if you’re coming from Tokyo for example, your best option would be to buy a plane ticket to Fukuoka. It is the most convenient way (and often the cheapest) if you’re planning an East to West trip across the country. Several airline companies offer flights to Fukuoka. I booked most of my local flights with Jetstar. The trip lasts about two hours and the round trip costs about $140. If you have a JR Pass and you are traveling from the Kansai region for example, you can also take the Shinkansen. If you’re traveling from Osaka, the trip to Hakata Station (Fukuoka’s main station) will take about two and a half hours through the Sakura Shinkansen line. Remember that your JR Pass does not cover Nozomi lines so be careful not to take them. More info on JR Pass here. If you are looking for something cheap and convenient, I recommend the Bed Stock hostel. It has a modern design and offers everything you need in terms of equipment and services. 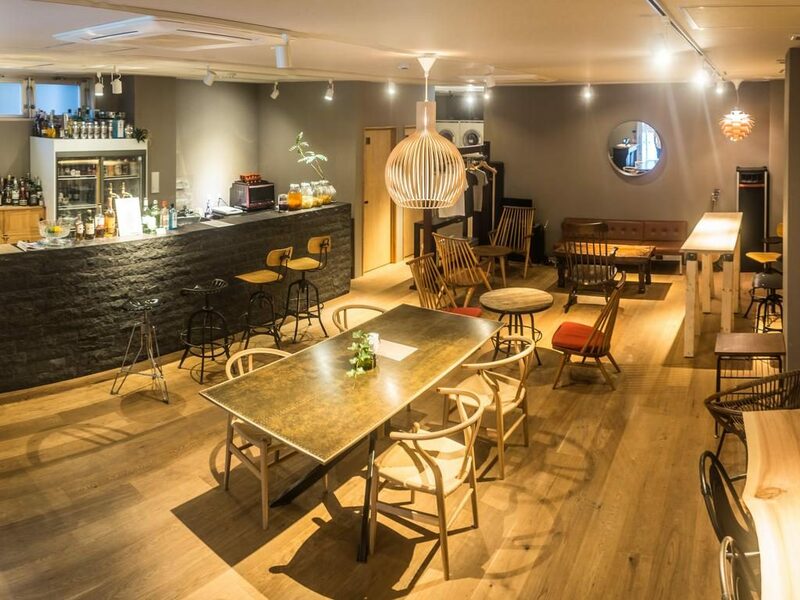 It is also very conveniently located next to the Akasaka train station and not far from Ohori Park, Hakata Canal City, etc. 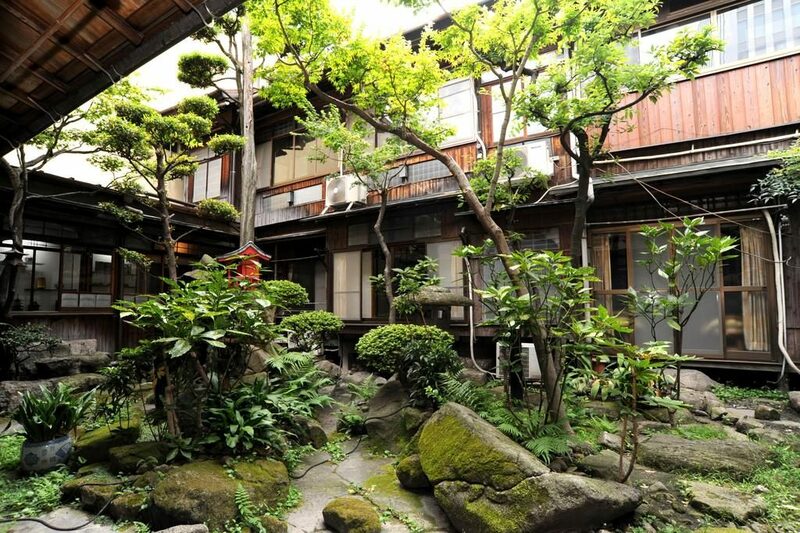 If you want a more authentic Japanese accommodation, you can book at the very charming Kashima Honkan ryokan. It is also in the city center, close to several temples I’m going to tell you about later. This is a traditional Fukuoka neighborhood and I really enjoyed the time I spent here. 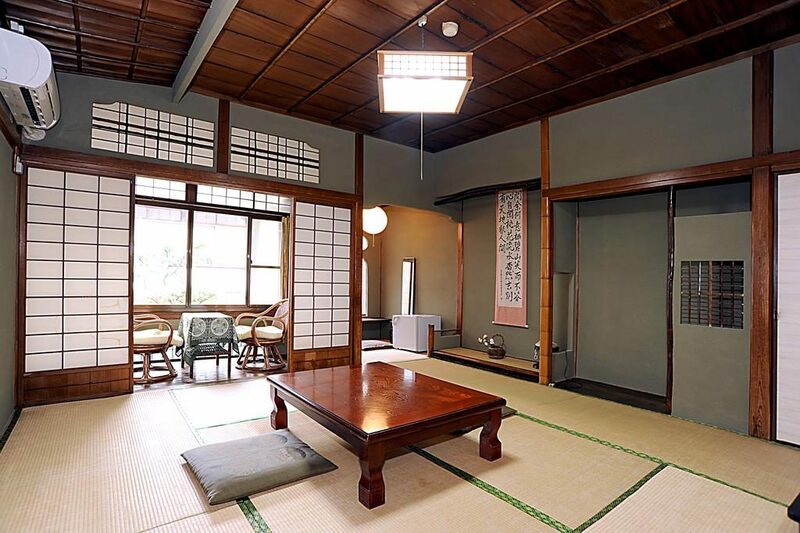 The Kashima Honkan has all the typical characteristics of a traditional Japanese ryokan. 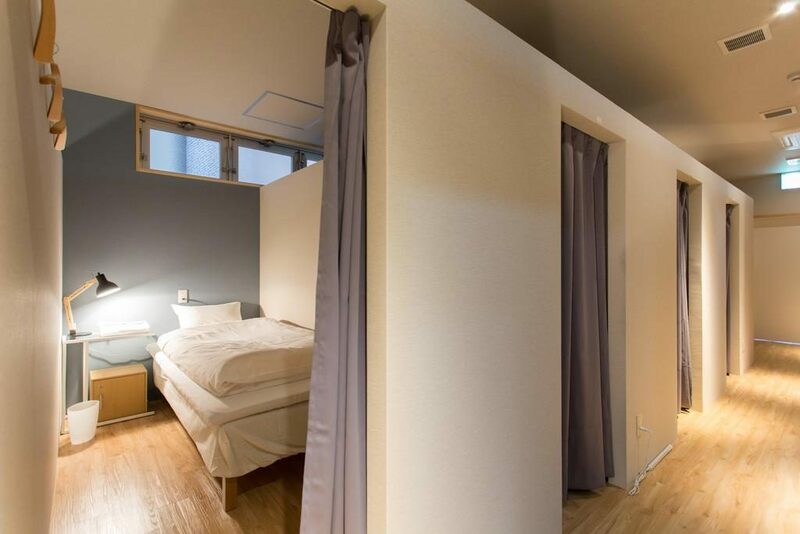 You will sleep on the floor, on a futon bed on tatami mat, and you will have access to a good onsen (hot spring bath). 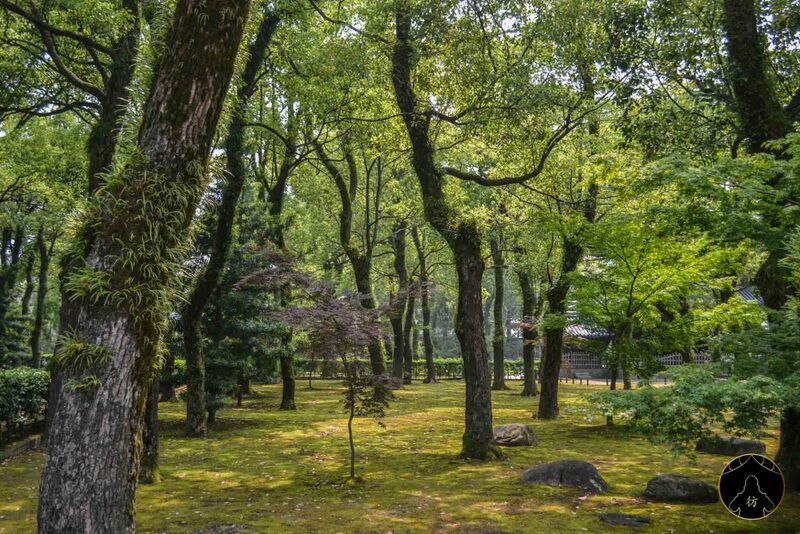 There ryokan is also built around a beautiful Zen garden where you can relax. 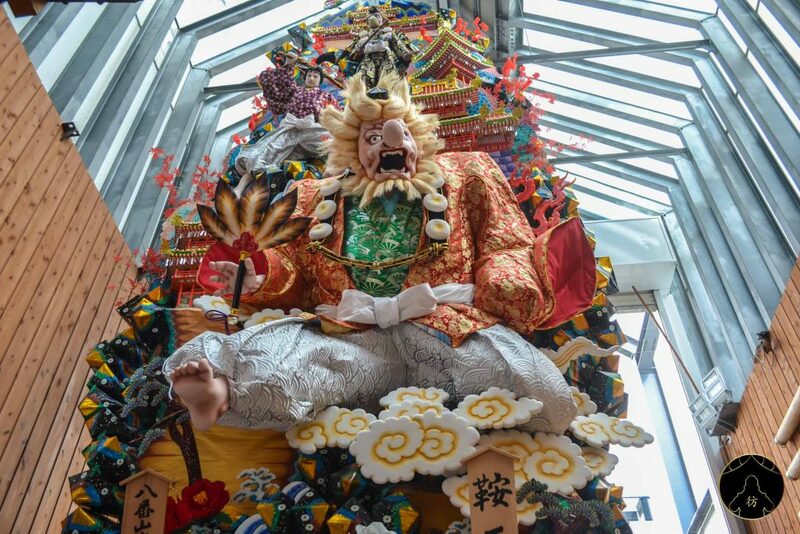 Without further ado, let’s get to the 9 attractions I liked most in and around Fukuoka. 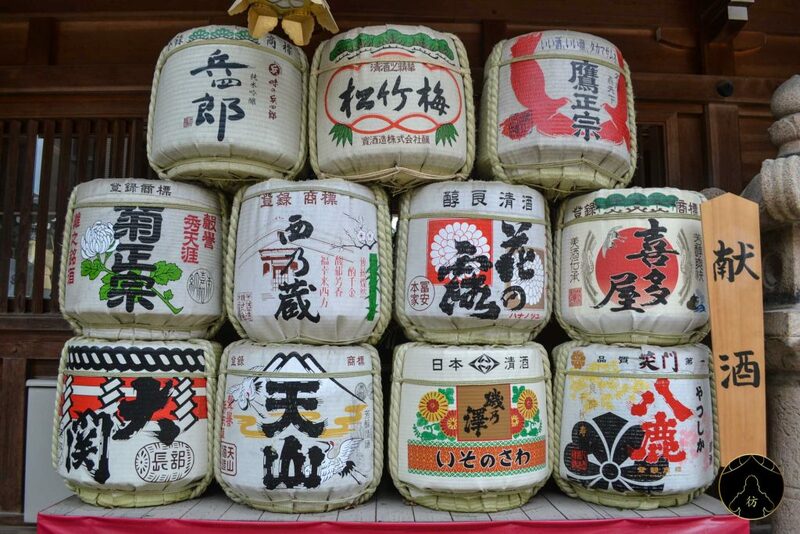 You might notice that the name Hakata is frequently mentioned here and there in Fukuoka. 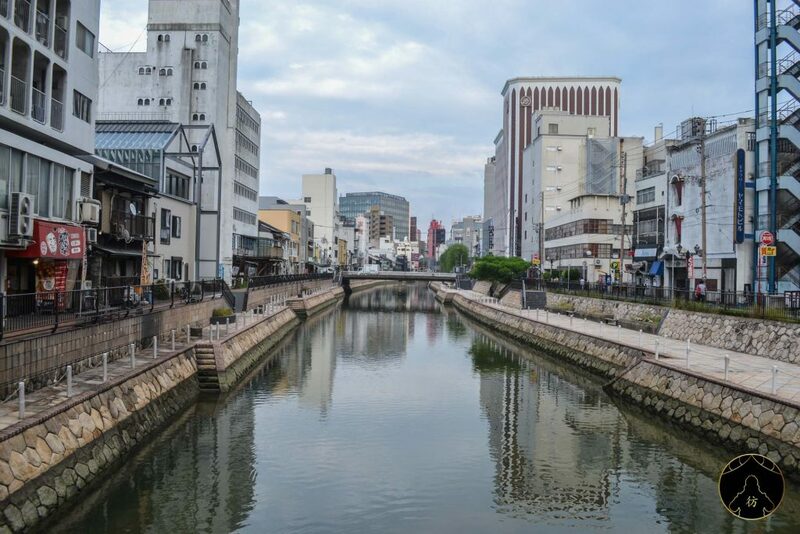 If you read about the history of the city, you’ll know that until 1889, there were two cities on both sides of the Naka River. 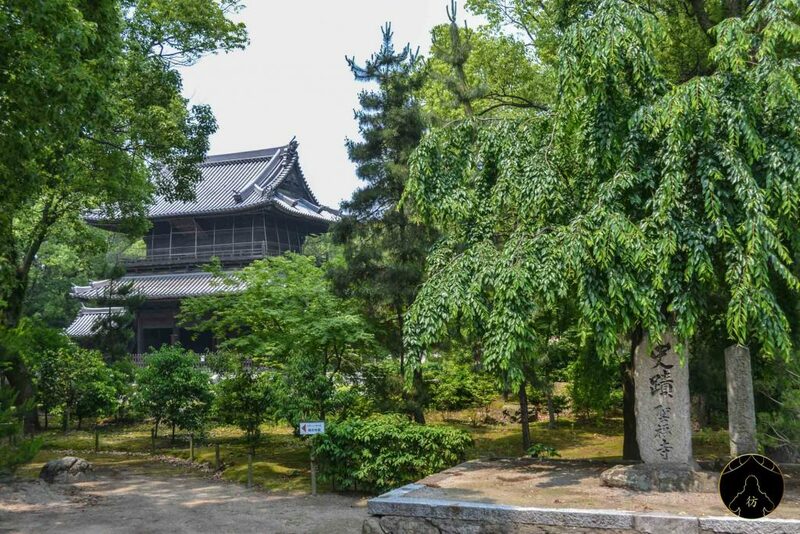 Before 1889, Fukuoka was a stately city where the Fukuoka Castle was built and where most of the samurai resided at that time. 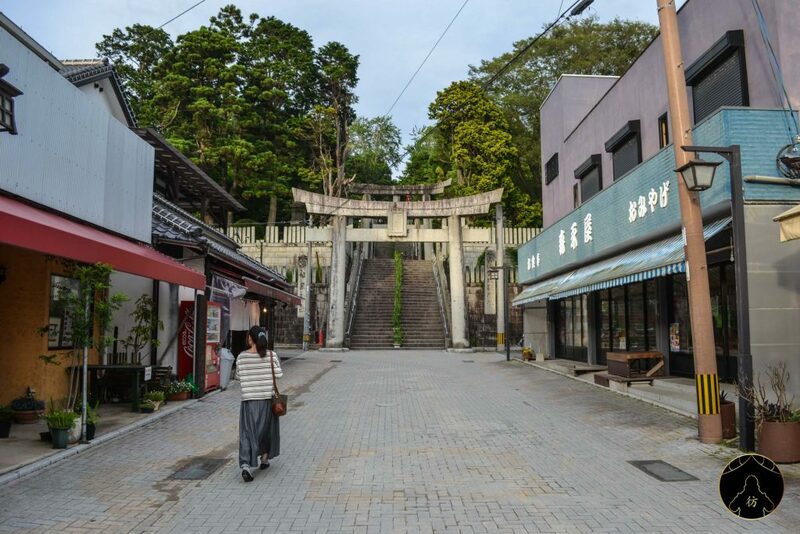 Hakata was the city where the rest of the people lived and so historically, it was more popular. Since 1889, the cities have merged and take the name of Fukuoka. 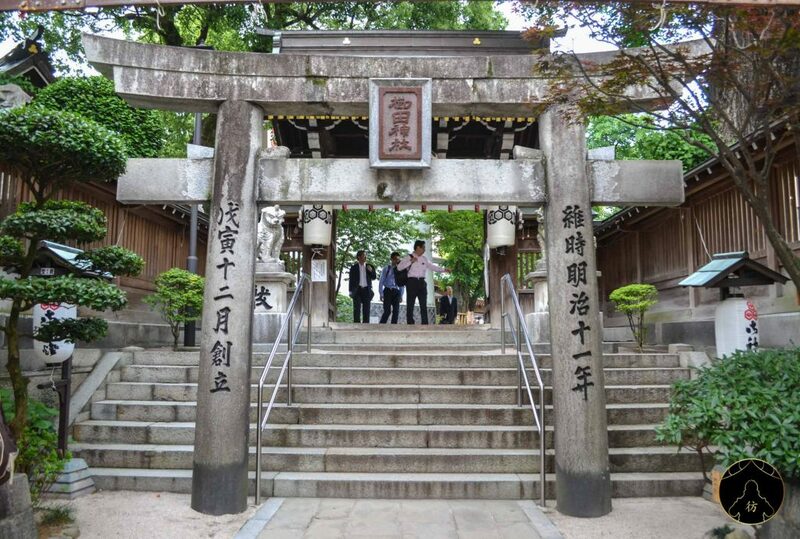 For the record, it was the name Hakata that was originally chosen but during the decision meeting, samurai barged in and imposed the name Fukuoka on the local authorities. 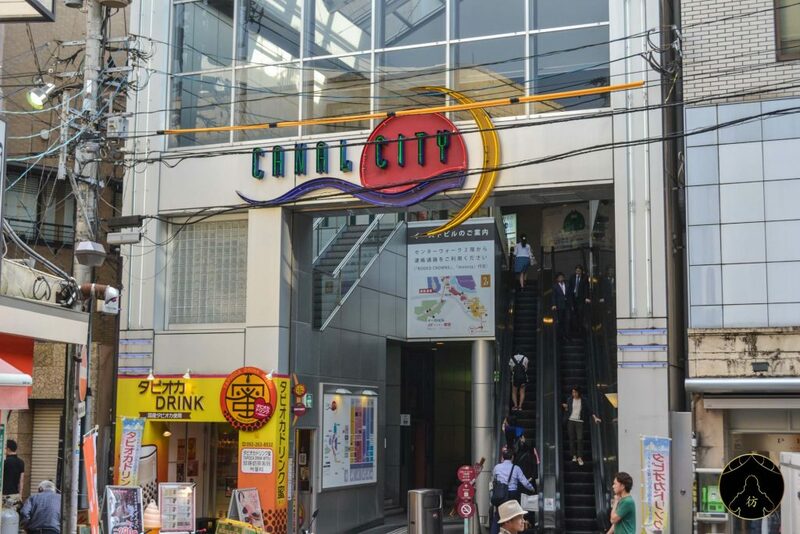 Anyway, Canal City actually refers to the largest shopping center in the city. There’s lots of entertainment, shops of all kinds, restaurants, a cinema and more. 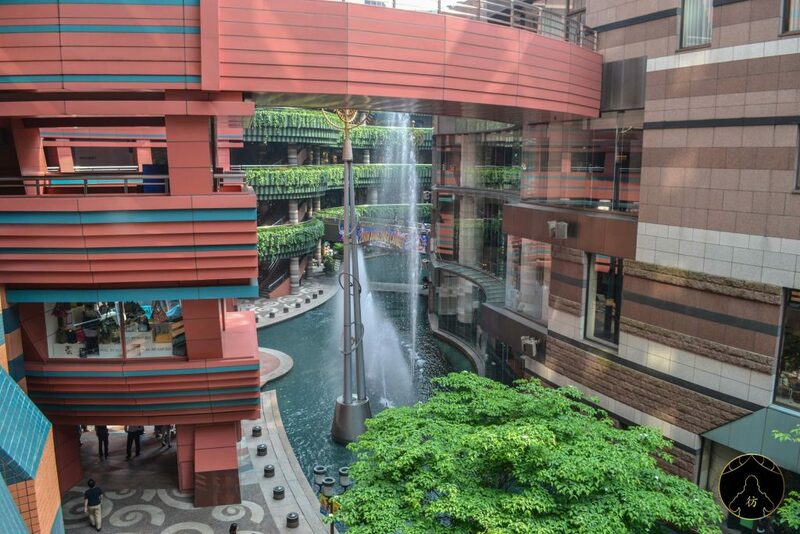 It’s called Canal City because there is a real canal running through its center! When you’re done walking around the city center, have a look at the surrounding area. 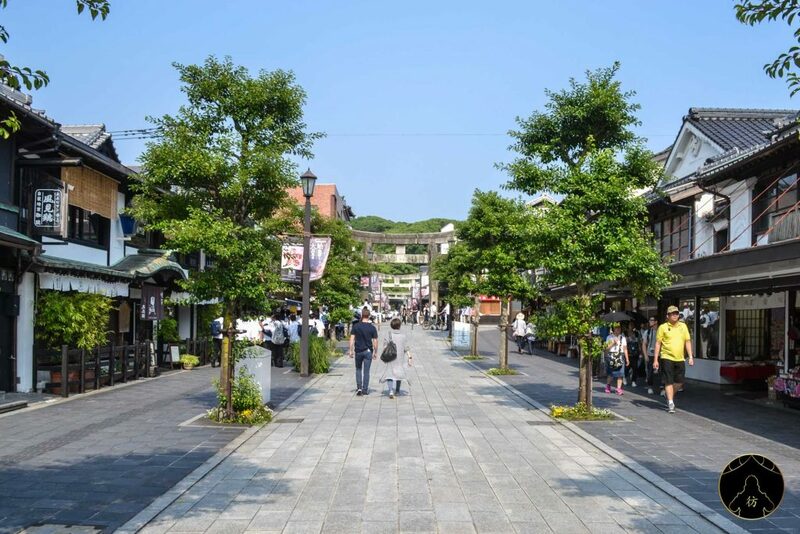 You can walk along the beautiful Kawabata pedestrian street which is right around the corner. 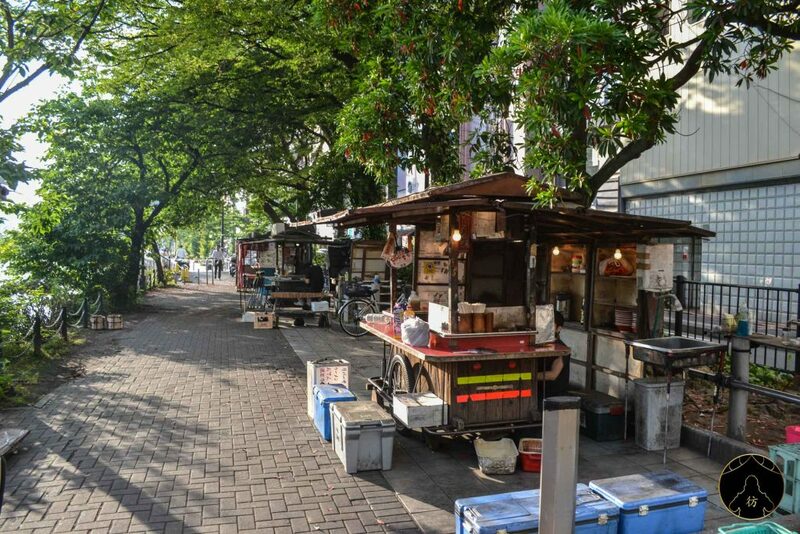 You can also have lunch or dinner at a yatai. 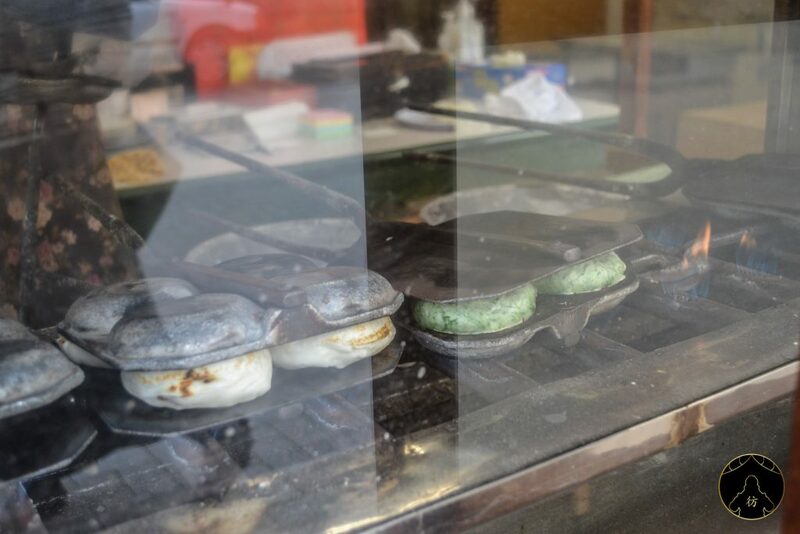 There are yatai pretty much everywhere, especially in the Nakasu district, on the banks of the Naka River. The owners of those yatai don’t speak much English so if you’re accompanied by a local who speaks Japanese, you should be fine. 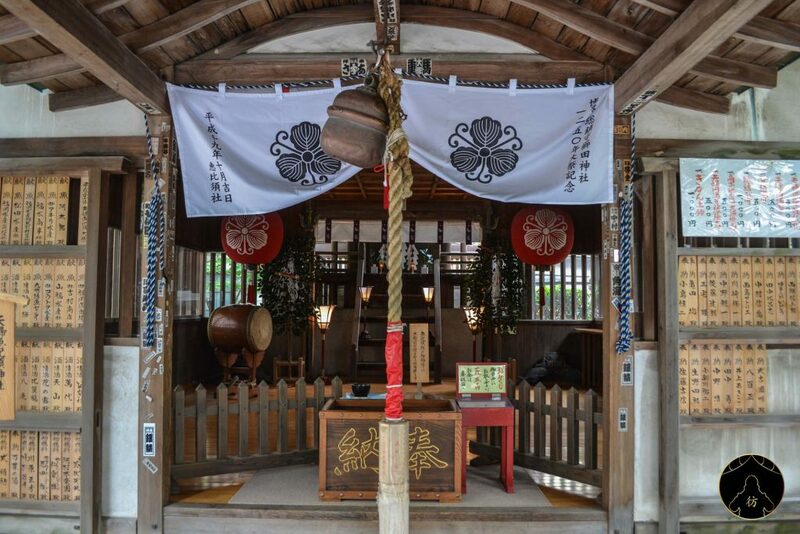 You can also book this yatai tour if you’d like to be accompanied by a local guide who will show you around the yatai of Fukuoka. 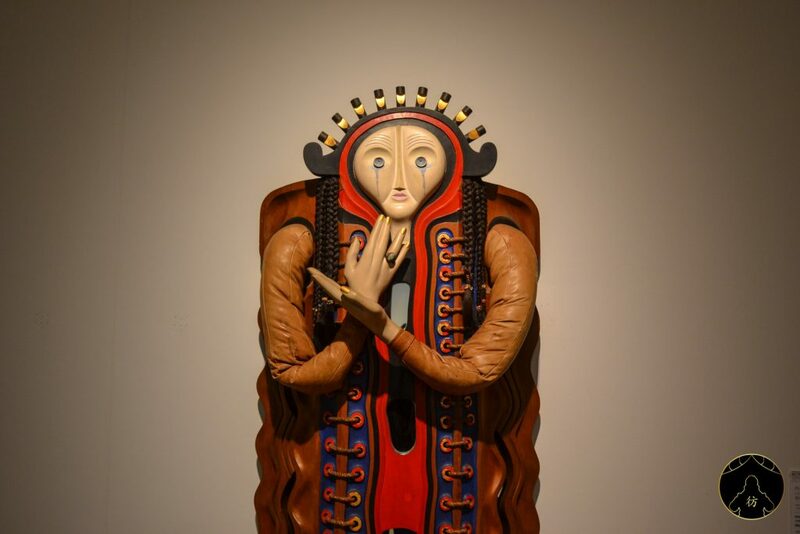 If you’re a regular reader of this blog, you probably already know that I am quite passionate about Asian cultures so I really liked this museum which is not very big and where you will discover beautiful Asian works of art. Actually, it’s a bit like the city of Fukuoka which is at the crossroads of many foreign cultures because of its geography. 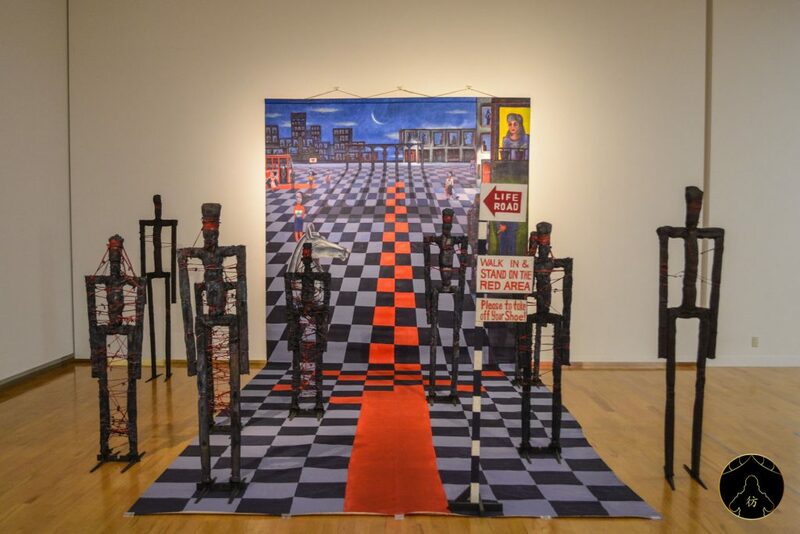 The entrance fee is also very affordable so don’t hesitate to try it out. 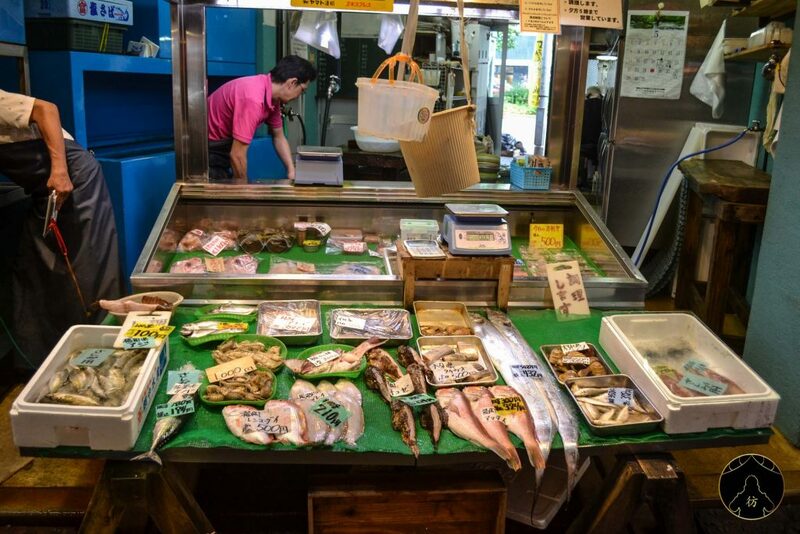 I love visiting Japanese markets because there is always a good atmosphere and there are often plenty of restaurants nearby that get their fresh produce from those markets. 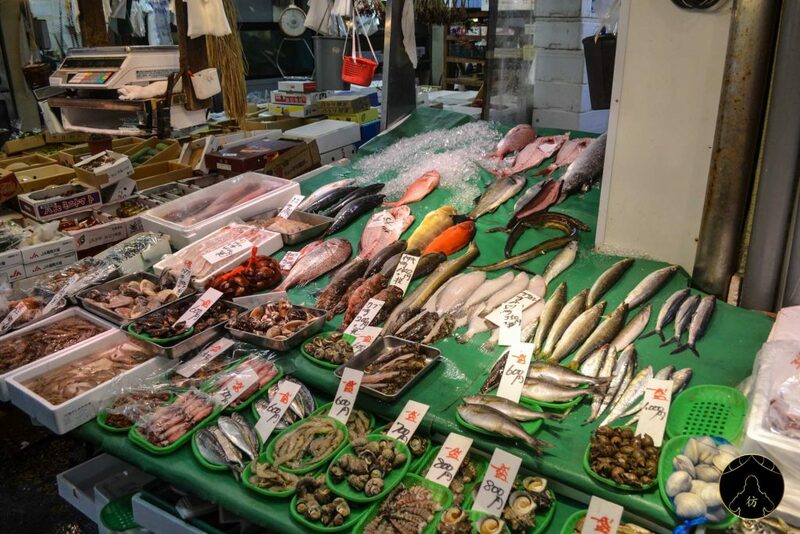 In Fukuoka, I went to the Yanagibashi Market and it was great! It is very lively in the morning so I recommend going then. Even though Fukuoka is a big city, it doesn’t feel like it’s surrounded by tall, modern buildings and there are lots of parks around. 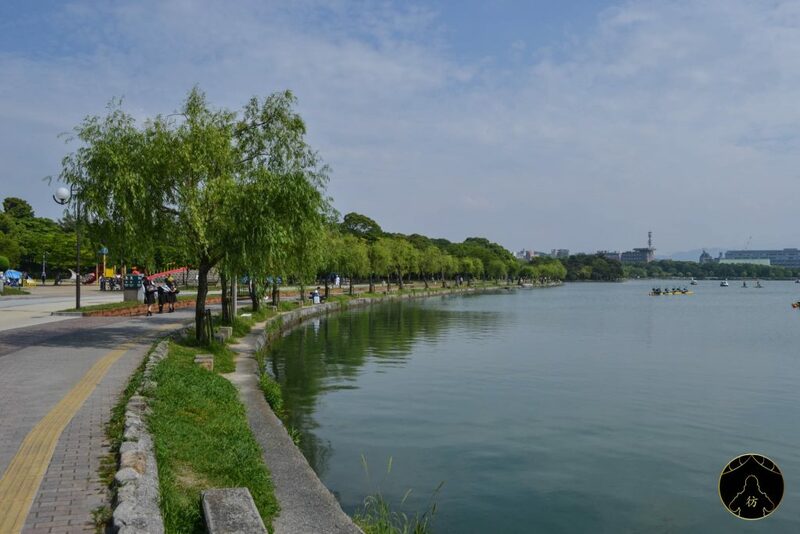 My favorite is Ohori Park which is probably the largest in the area and built around a large body of water. You can go for a walk there or rent a boat and sail around! Prices are also very affordable. 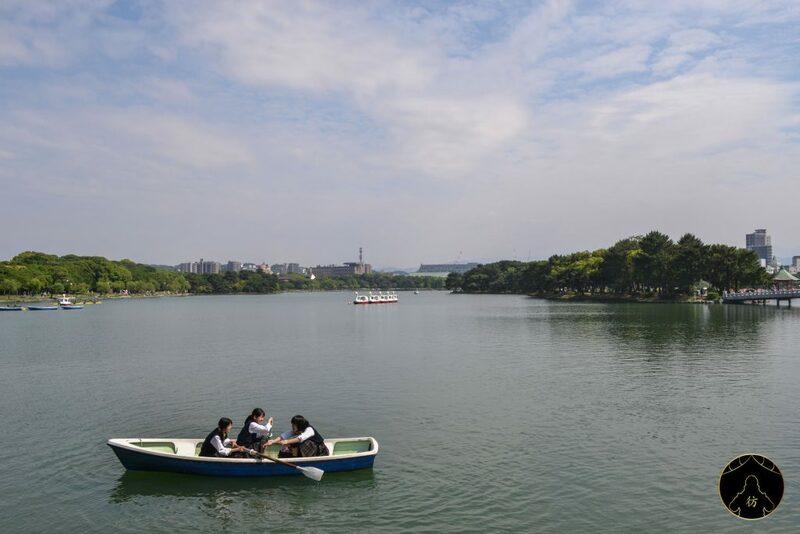 To rent a “standard” rowing boat, it’s 600 yen (~ $5.5) for half an hour of fun. 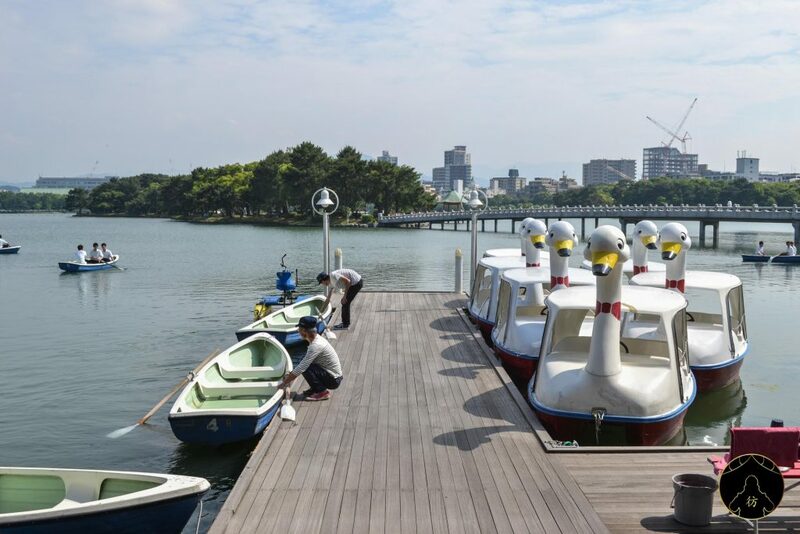 To rent the swan-shaped pedal boats, it’s 1000 yen (~ $9). The boats are available from 10AM to 6PM. Right next to Ohori Park, there’s Fukuoka Castle. 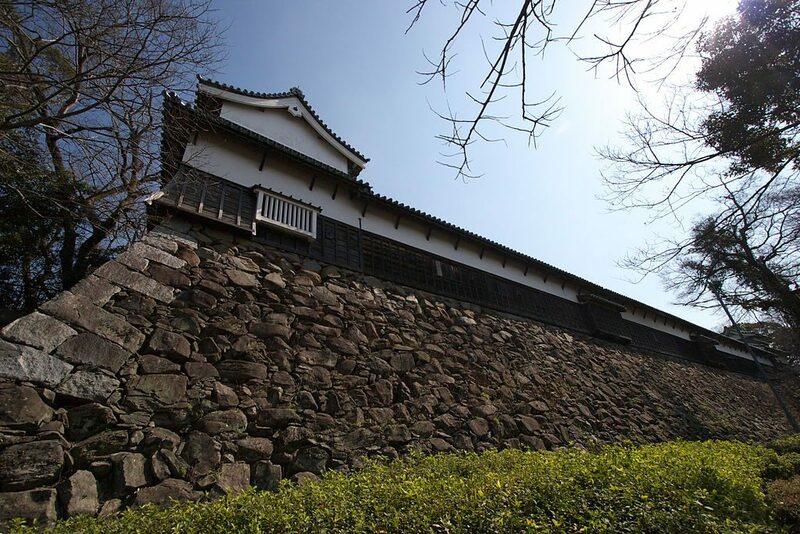 It was built during the Edo period by Nagamasa Kuroda, a powerful daimyo at the time. 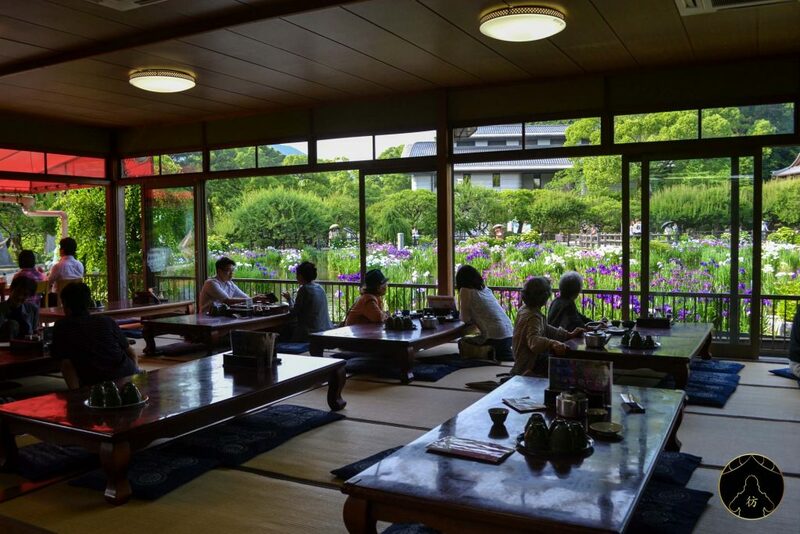 The castle’s garden has been rehabilitated into a park called Maizuru. 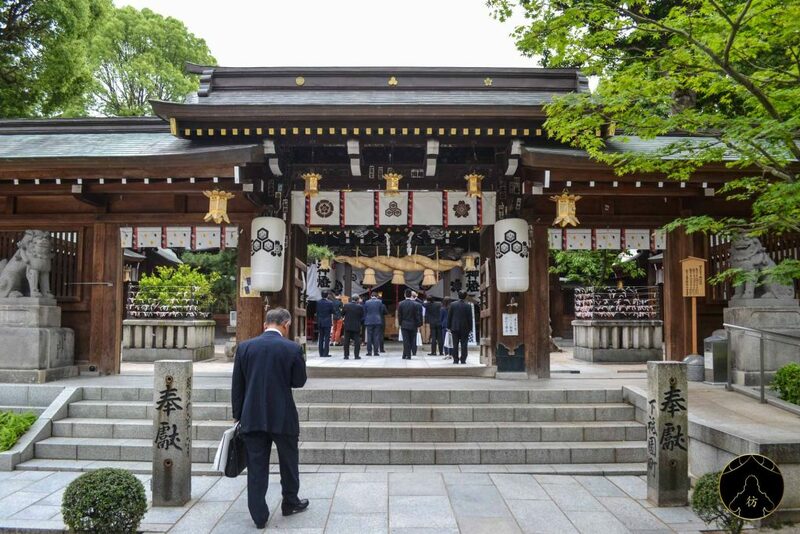 We’re now in the more traditional side of the city and we’re visiting Kushida Shrine. 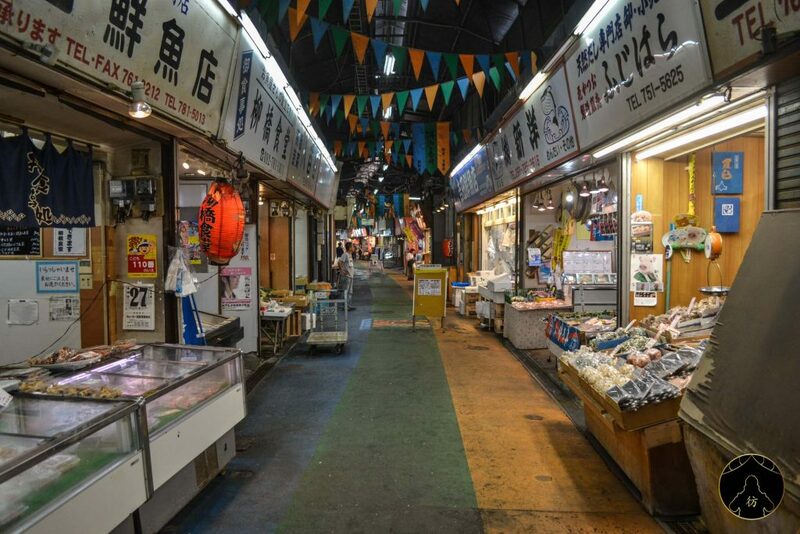 It is a short walk away from the Hakata Canal City shopping center I mentioned above. It is a very old sanctuary that has presumably been built in the 8th century. 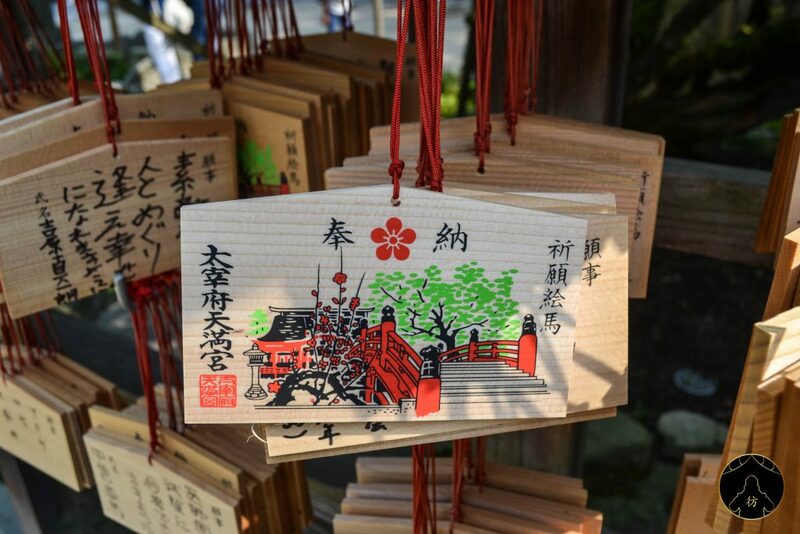 Kushida is a Shinto shrine dedicated to the goddess Amateratsu and the god Susanoo. 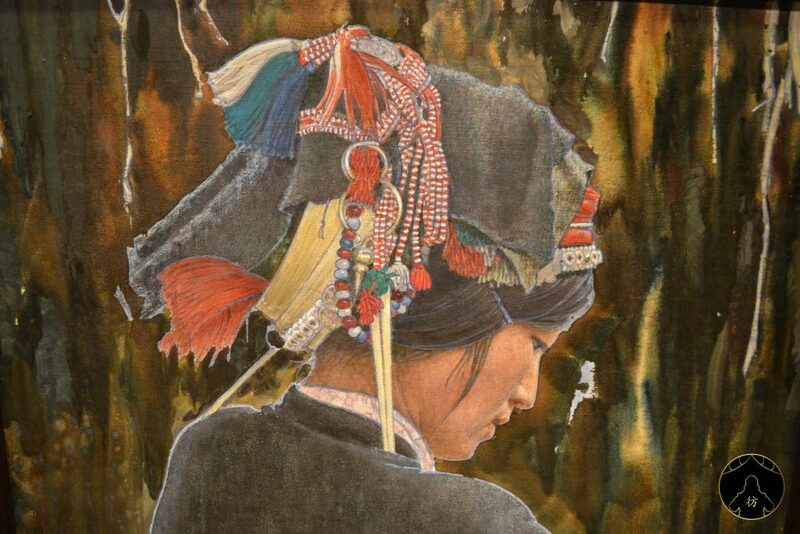 It is often visited by local people and especially by “salary men” seeking prosperity and luck. 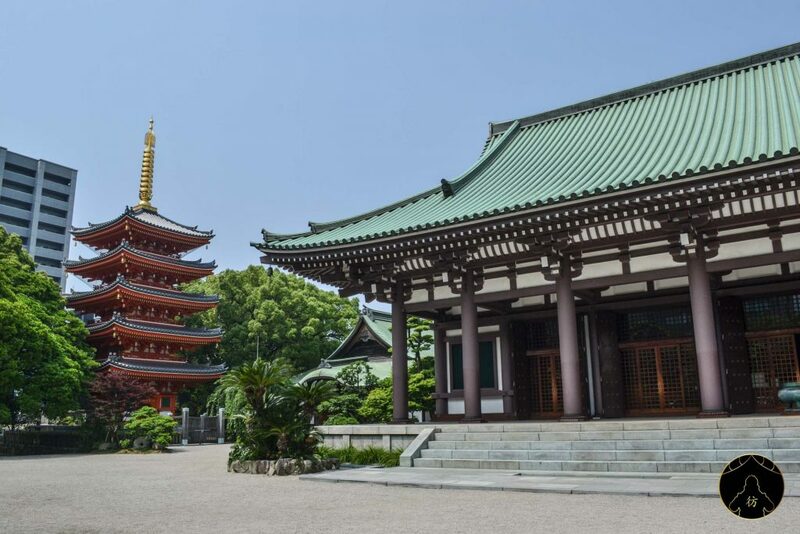 This is a Buddhist temple. 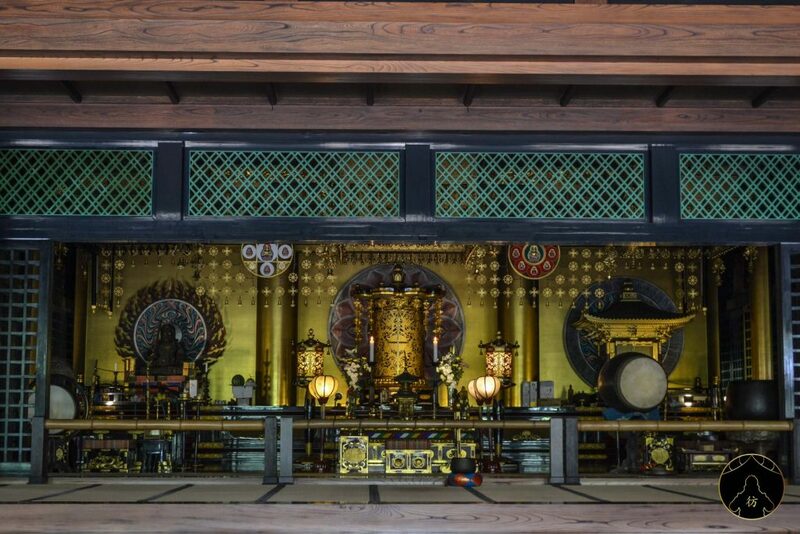 It is part of the Shingon cult that is very present in Kyushu. 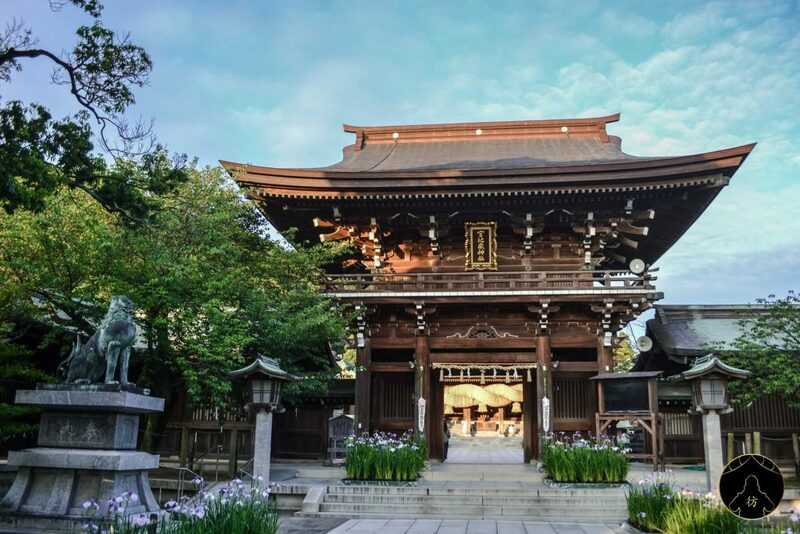 It was built in the 9th century and is one of the oldest temples in the area. 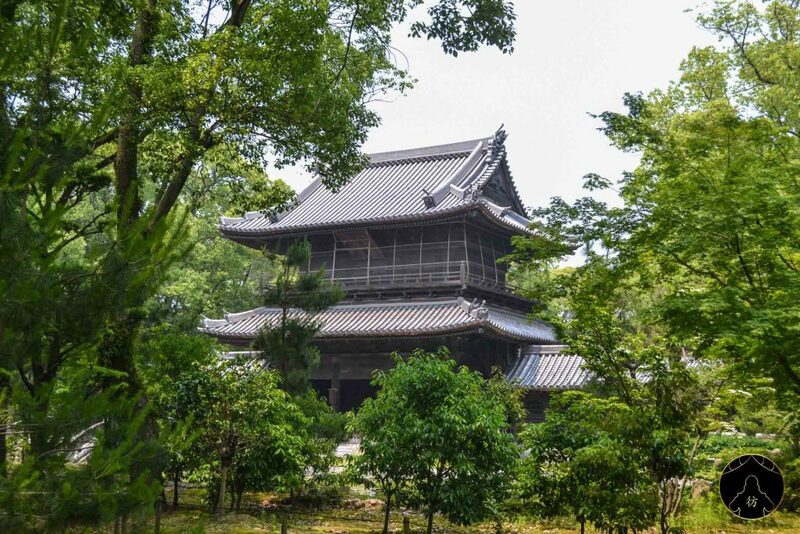 One of its notable features its its beautiful 5-storey pagoda. Isn’t it beautiful? 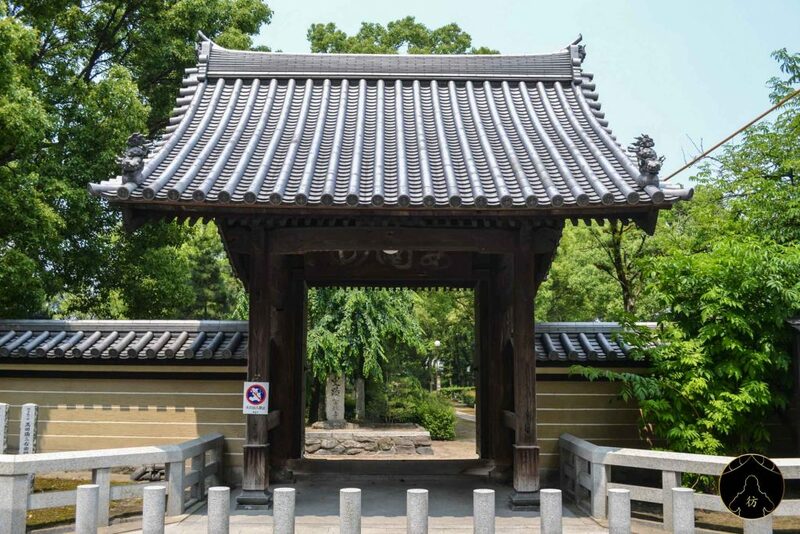 Shofukuji is one of my favorite attractions in Fukuoka. 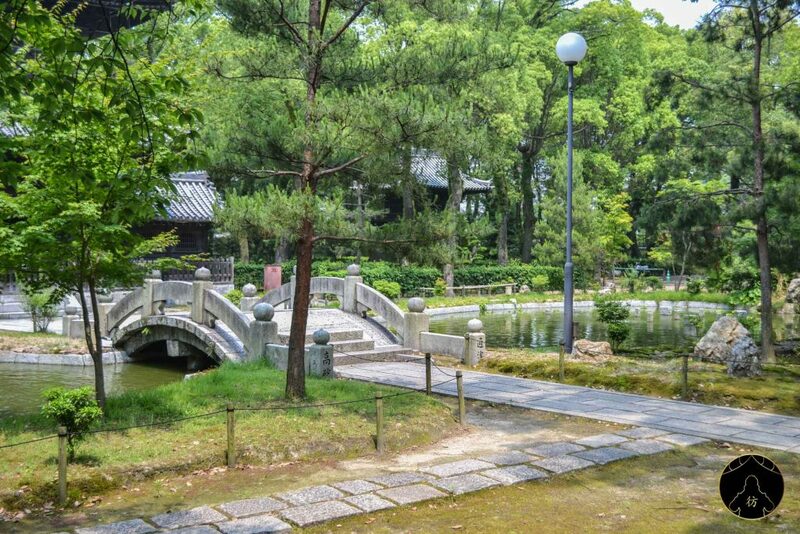 Although it is close to the city center, there’s a really calm and zen atmosphere around. It is probably thanks to its beautiful garden and all the big trees there. 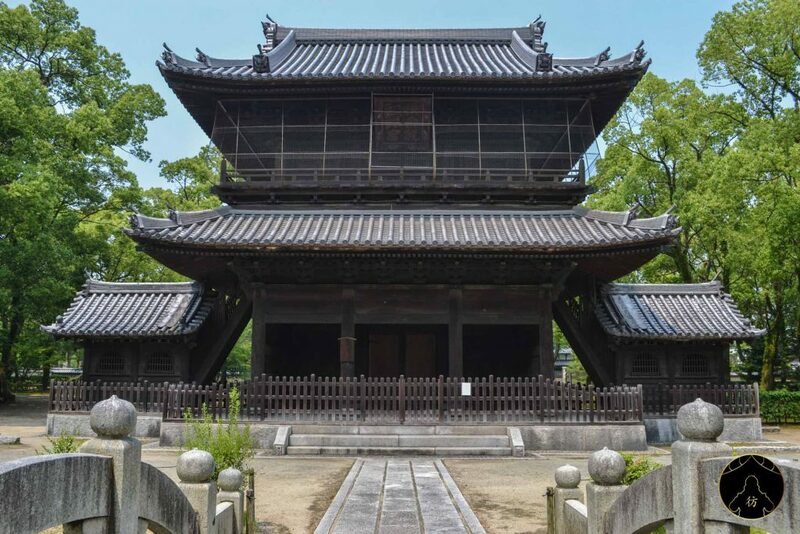 It is the first Zen Buddhist temple to be built in Japan in 1195 by the priest Eisai. 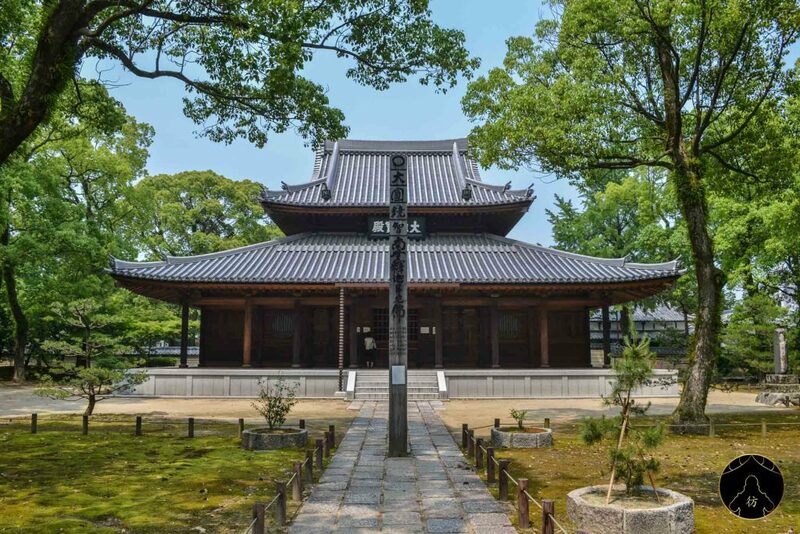 As Zen Buddhism spread to Japan from China, no wonder the first temple dedicated to that faith was built in Fukuoka. Anyway, I really encourage you to visit this beautiful temple. Surprisingly, there are rarely any visitors even though the temple is quite spacious and easily accessible. 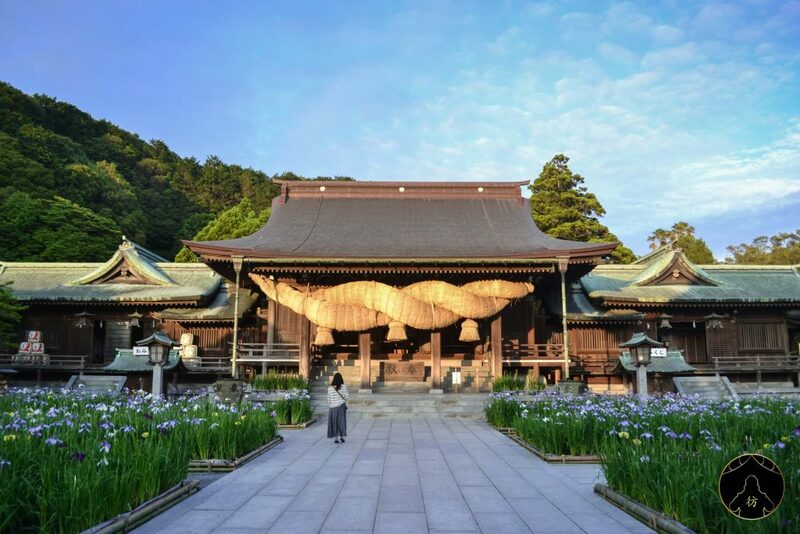 The next two attractions I mention here are situated outside the city of Fukuoka. Let’s start with the beautiful sanctuary Dazaifu Tenman-gu that I really recommend you visit if you have the time. You will to take the train to Dazaifu Station. 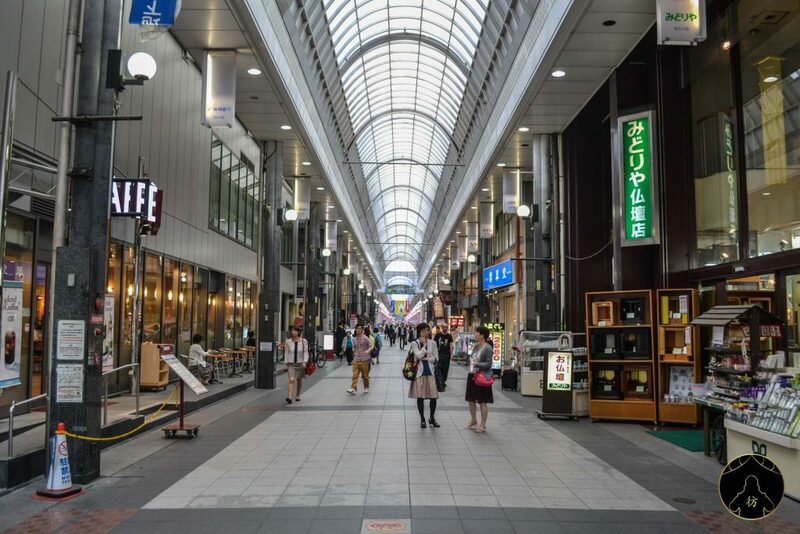 Here is an example of a route you can follow from Hakata Station. As you can see, you will need about 40 minutes to reach your destination and you have to walk 5 minutes from the station to get to the sanctuary. You will cross a beautiful pedestrian street with lots of small souvenir and fast-food shops. 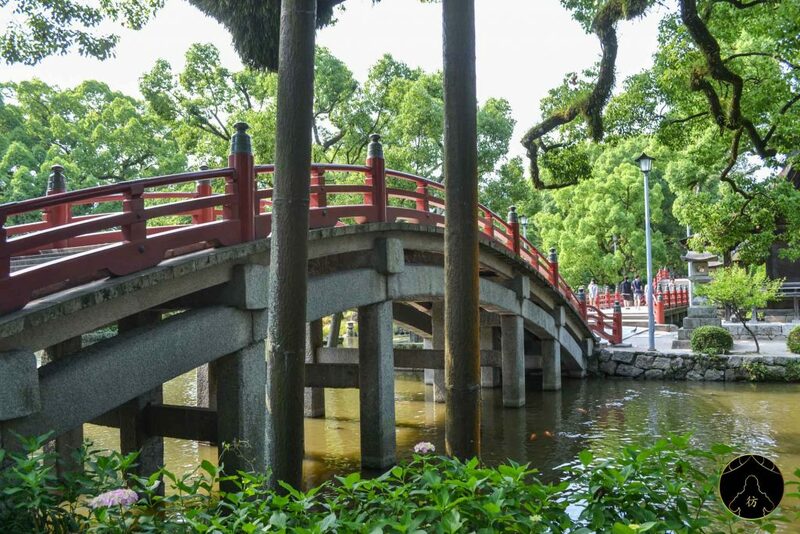 At the sanctuary, there are two beautiful red bridges that go over a small pond. 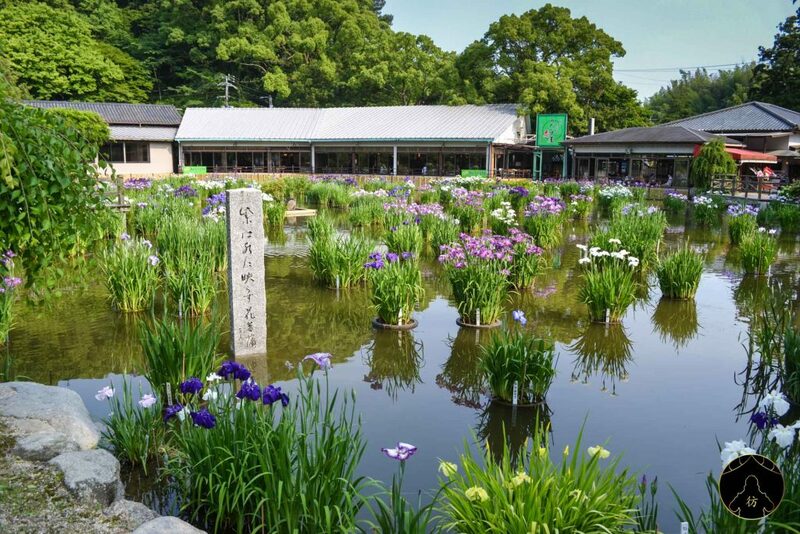 You can hardly see it here but the pond is built in the shape of the heart kanji 心. Both bridges have a symbolic meaning. The first allows you to leave the past and get to the present. The second makes leads you towards the future. After crossing the bridges, you will be able to visit the rest of the shrine buildings. It takes more or less two hours to visit the entire site. I spent a whole morning there and I keep great memories of it! 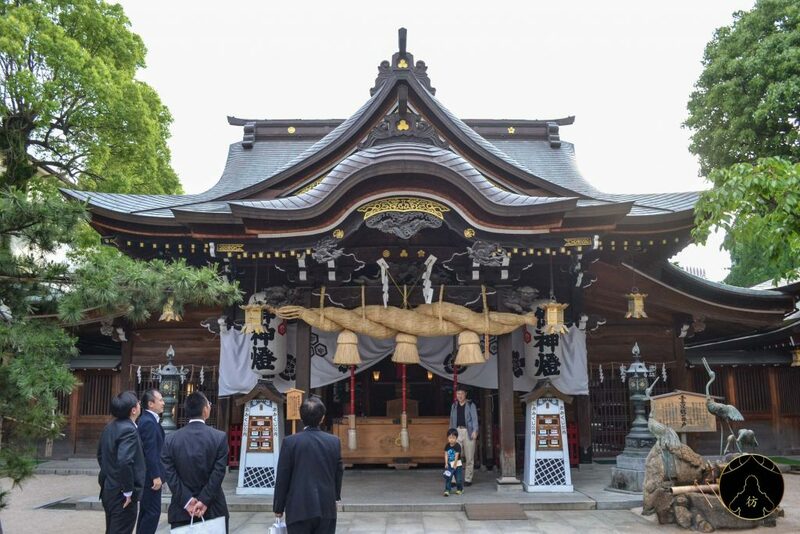 Our trip around Fukuoka ends with the beautiful Miyajidake Shrine. It’s a bit complicated to get there and I had a friend drive me there. What you can do is take the Kagoshima line to Fukuma Station. 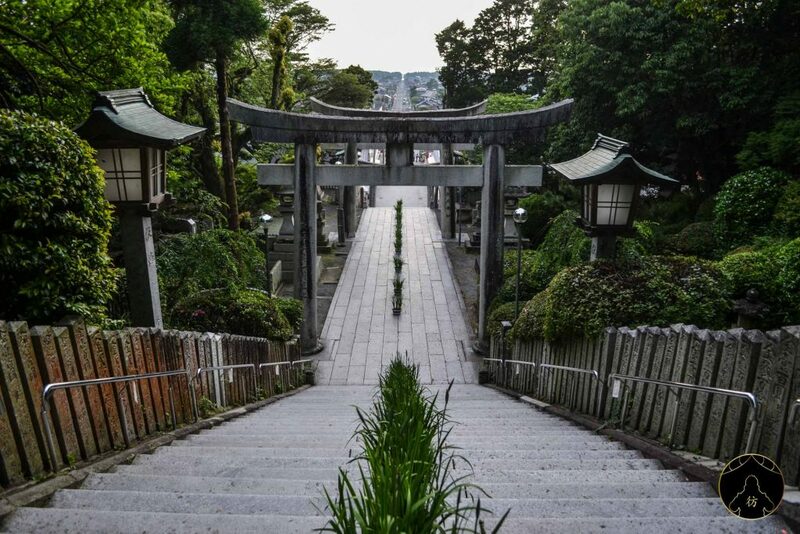 From there, you will have to walk half an hour to get to the shrine. If you don’t want to walk, you can take the Nishetsu bus to Tsuyazaki-bashi and stop at the Miyajidake Miya Mae Station. Don’t get discouraged, it’s really worth it! You can have a Japanese dessert once you get there. 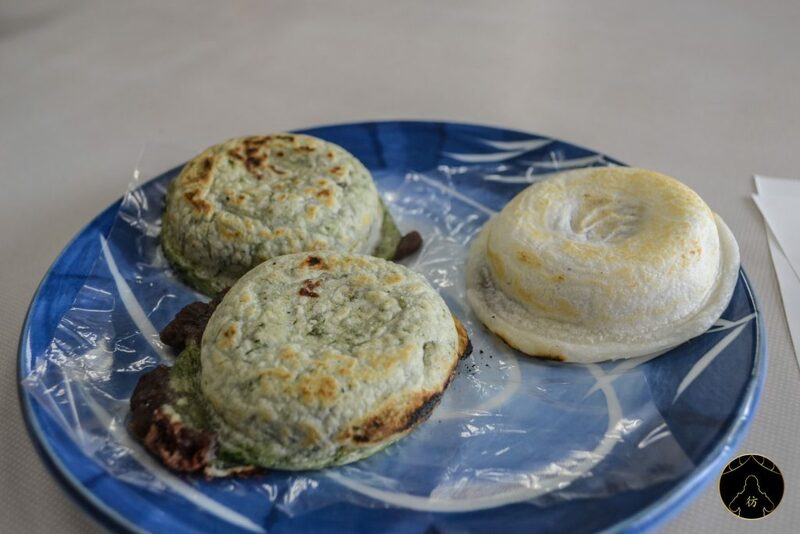 It’s a sweet treat stuffed with red bean paste, absolutely delicious! 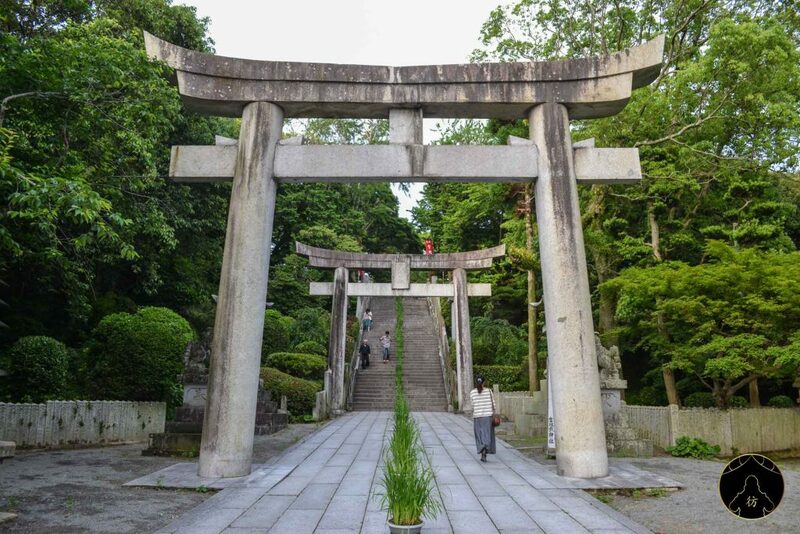 Then there are many torii to go through and a few steps to climb to reach the sanctuary. Once at the top, don’t forget to enjoy the beautiful view. When the weather is nice, you can actually see the sea. This is also a famous sunset spot in Japan. 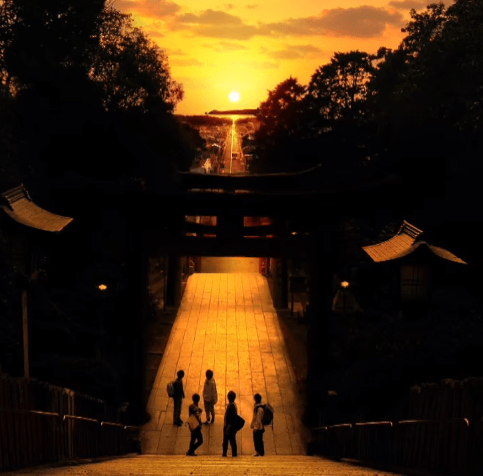 Twice a year, the sun sets along this line of torii and follows the opposite path. 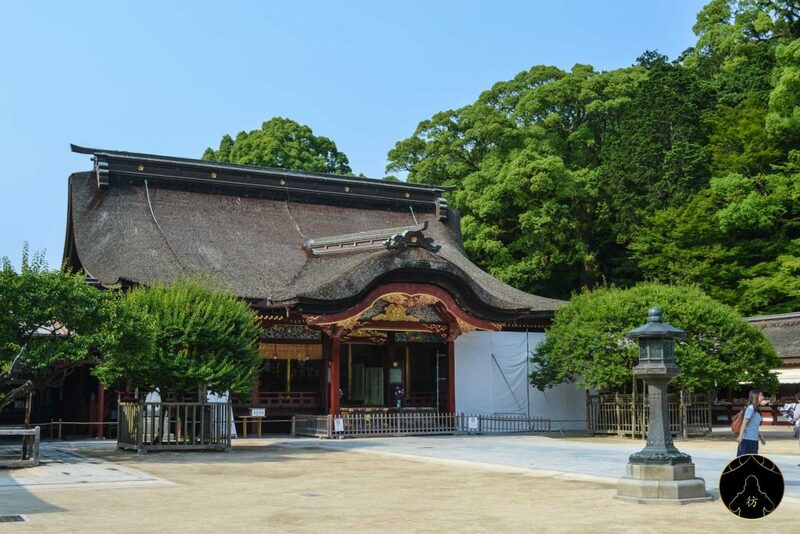 The shrine is also known for its shimenawa which is the sacred rope that is rolled up and placed on the facade of the main building of the sanctuary. 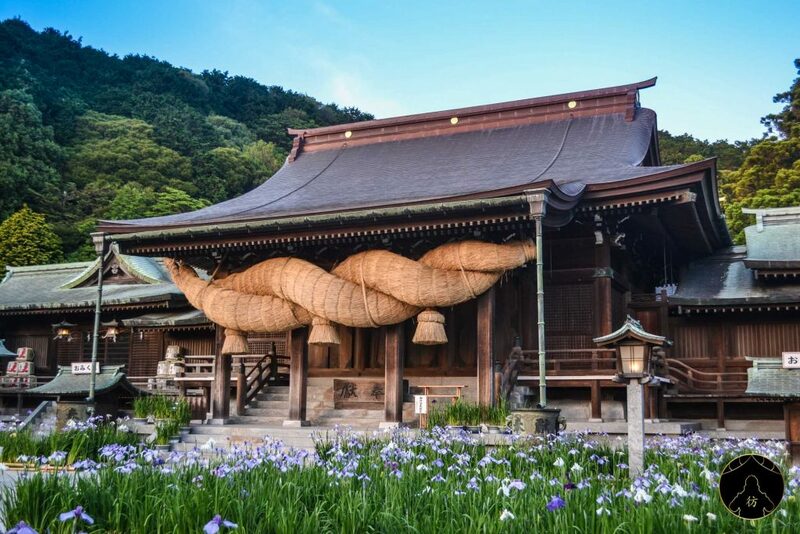 The shimenawa of Miyajidake Shrine is the largest in Japan! It weighs more than 5 tons and when you see it, you might not be convinced. 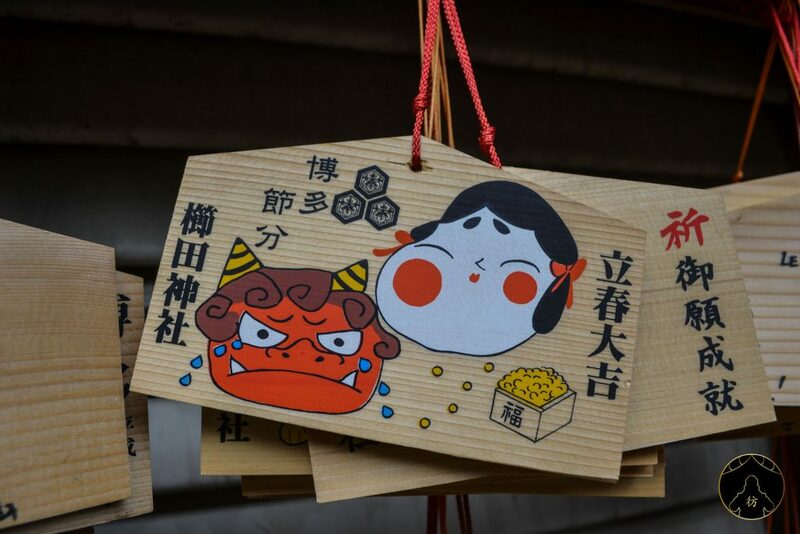 As you can see, the Miyajidake Shrine is definitely worth the trip and I recommend you keep it on your list of things to do in Fukuoka. Let’s end this blog post with these beautiful photos of Fukuoka. I hope you enjoyed it and that it’ll help you plan your trip to Japan. 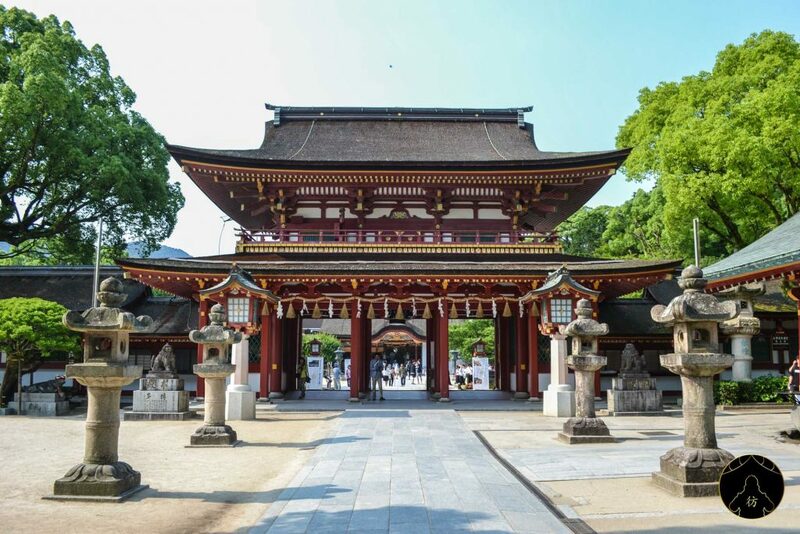 To get to know other great destinations in Japan and throughout Asia, join me on social media: Facebook, Instagram, Pinterest and Facebook Group.